Bio'Sensiya Rejuvenating MultiVitamin Night Time Serum is full of lots of vitamins and organic ingredients to help create a more youthful appearance. It diminishes fine lines, age spots, uneven skin tone, and over time it increases firmness and elasticity of the skin. This serum contains 1.5% Retinol (Vitamin A) which improves skin tone as well as managing acne; 15% Vitamin C to protect against free radicals; and Vitamin D which prevents moisture loss. It also contains Vitamins B and E, and Hyaluronic and Ferulic Acids. This yellowish serum has a citrus-y scent that reminds me of citronella. It's not bothersome but definitely an interesting scent for a facial serum. (I'm assuming it's just lemon but to me it smells like summer nights with a citronella candle burning!) Anyway, the serum goes on smoothly and makes my skin feel tighter after applying. It's slightly moisturizing and seems to do it's job as far as providing a more even skin tone and antioxidants. The Retinol is something I really like in a night serum, however make sure not to use it too much or too often if it irritates your skin. I use it once in the evening after cleansing, and then follow with a moisturizer, and the next morning my skin looks clear and healthy. 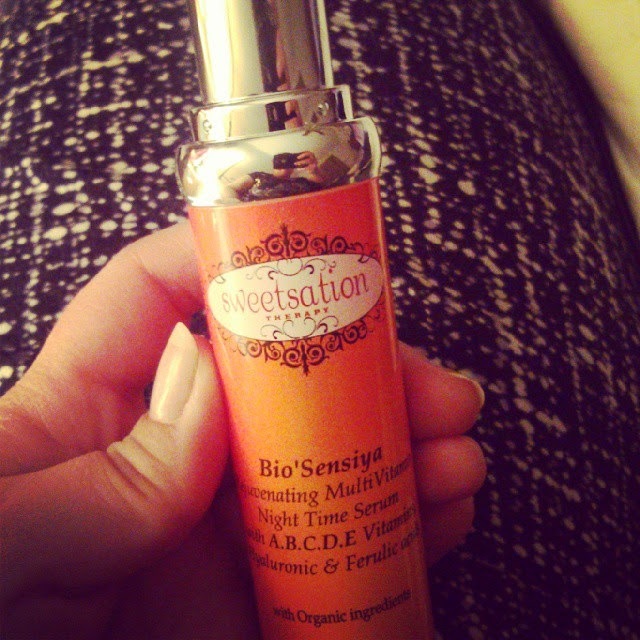 I really like how packed with amazing ingredients the Bio'Sensiya Multivitamin Serum is. Aside from all the vitamins, it also includes Frankincense, Argan Oil, Seabuckthorn Oil, and Green Tea. It's packed with effective ingredients and seems to work well.